The Palestinian experience in the Syrian war has been one of violence, misery, and double exile, and is a story in its own right. Yet it has also brought into high relief a fundamental dilemma affecting the Palestinians of Syria, namely that of being forced to maintain political neutrality, given their vulnerable position, or to support the regime, despite its direct role in their suffering. This wartime experience of violence, misery, and double exile is a story in its own right. Yet it has also brought into high relief a fundamental dilemma affecting the Palestinians of Syria, namely that of being forced to maintain political neutrality, given their vulnerable position, or to support the regime, despite its direct role in their suffering. This is to the detriment of human rights for Palestinians as well as for Syrians as a whole. 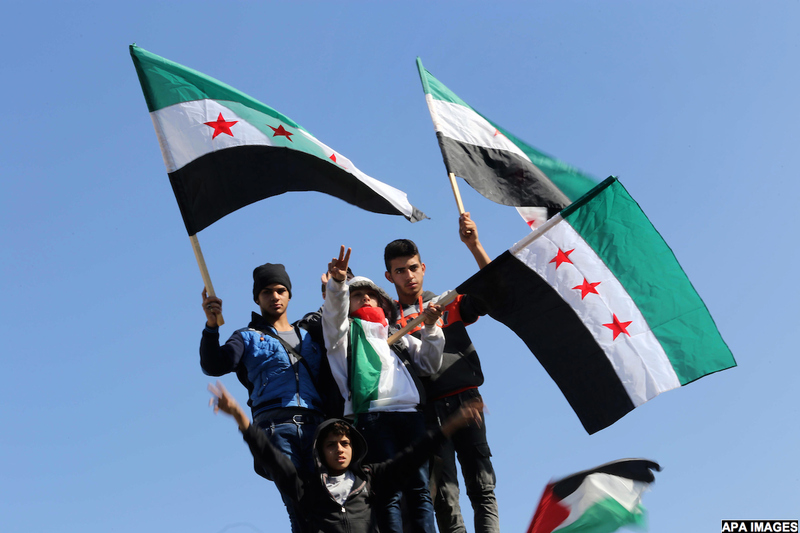 This policy brief examines the issue of neutrality by first unravelling the notion of the Syrian regime as a Palestinian ally, and then assessing the role that Palestinian factions have played in the war. It moves on to examine two related issues that the war has cast into relief – the status of Syria as a second home for Palestinians and the weakness of Palestinian representative bodies – and the implications for the broader Palestinian national movement. The brief concludes with recommendations for how Palestinian leaders and solidarity movements can better advocate for human rights and self-determination. Syria’s Palestinian community is part of the country’s wider social fabric. Before 2011, their refugee camps were not rigorously guarded, and their education and professions were not as policed as they are, for example, in Lebanon. As a result, there was a degree of “Syrianization” of Palestinians in the sense that many second and third-generation refugees felt that being Syrian was part of their identity. At the same time, there was a degree of “Palestinianization” of Syrians who lived close to the camps. This mutual integration was not the result of the Assad regime’s particular generosity toward Palestinians. The legal framework that accords Palestinians a similar status to Syrians (with the exception of obtaining Syrian nationality and the right to vote) predates Hafez al-Assad’s rule. Nidal Bitari, a Palestinian writer from Yarmouk, argues that an underlying reason for the relatively good quality of life that Palestinians were able to enjoy in Syria before 2011 was their relative lack of involvement in Syrian politics, especially after the events in Lebanon in the 1980s. Palestinian political involvement instead focused more narrowly on Palestinian issues such as the Right of Return Movement. Government discouragement and close monitoring of potential dissidence among Palestinians also led to reluctance to become involved in Syrian affairs. For example, Military Intelligence Branch 235 in Damascus – the “Palestine Branch” – was founded to monitor the political and military activity of Palestinians. It now runs an infamous facility that detains and tortures non-Palestinian Syrians as well, according to former detainees, whose testimonies were collected by Human Rights Watch in 2012. Since the early days of his reign, the late Hafez al-Assad’s relationship with Palestinians was marked by a desire to both consolidate his domestic power and to balance against US-Israeli interests in the region. Patrick Seale argues that from the onset of his rule Assad saw Palestinians as a liability, though he remained rhetorically supportive of their cause. 2 This culminated in Assad’s intervention in the Lebanese Civil War against the progressive forces backed by the Palestinians, which alienated the late Palestinian leader Yasser Arafat from Assad. Syria became primarily concerned with managing the Palestinian question by co-opting it, and by fostering dependence among the Palestinian leadership on its patronage. 3 This was, for Hafez al-Assad, central to achieving a key strategy in the broader Arab-Israeli conflict: To recover the land Syria had lost to Israel in 1967 and prevent further loss of land. Manipulating the Palestine Liberation Organization (PLO) was also seen as key to being able to play the “Palestinian card.” Rashid Khalidi adds that although control over his wider environment, which included Palestinians, was a key concern for Hafez al-Assad, manipulating the Palestinian movement also resulted from a fear of being left out of any agreements with Israel. When the uprisings in Syria unravelled in 2011, most Palestinians wanted to remain neutral, haunted by the memory of what happened to Palestinians in Jordan in the 1970s, Lebanon in the 1980s, Kuwait in 1991, and Iraq in the early 2000s. Joining any opposition to the Syrian regime came with high risks, even within the framework of the popular movement, with which many young Palestinians identified. This identification is unsurprising: The integration of Palestinians into Syrian society meant that they, too, were subject to the social control enforced by the Assad regime throughout the country. Arresting and torturing dissidents was a common practice long before the spirit of the Arab uprisings reached the Syrian streets in 2011. Therefore, while Bashar al-Assad’s anti-Western and anti-Zionist rhetoric made him seem a trustworthy ally to Palestinians, in practice the lives of Syrian Palestinians were no better nor worse than his other subjects. Therefore, far from being beacons of resistance, Hafez and Bashar al-Assad both represent the messy legacy of Pan-Arabism in relation to the Palestinian question and Palestinian human rights. Most Palestinian factions mirrored Syrian Palestinians’ initial tendency toward neutrality, which in practice amounts to tacit support for the Assad regime. Hamas attempted to maintain good relations with the Muslim Brotherhood and the Assad regime by remaining silent about events in Syria. In early 2012, Hamas disengaged from the alliance and from the Syrian regime, although it remained hesitant to openly criticize the regime. This, together with other regional shifts of power after 2011, forced Hamas to look to other supporters, shifting the balance of power in the Gaza Strip in favor of Qatari or Iranian backing. In anticipation that the solution to the war in Syria may involve the Assad regime, the PLO in Syria, which has its own distinctive composition, has also been keen to maintain neutrality. 4 While this neutrality is historically understandable considering the strained relationship Palestinians have had with other host countries, it also attests to the PLO’s weakness when it comes to defending and representing Palestinian interests. The question of neutrality versus active involvement in Syria has not only been a divisive issue among the Palestinians in exile, but also among Palestinians within Syria, mirroring the internal rifts and rivalries within the Palestinian movement. These disagreements revolve around issues such as the nature of the Syrian uprisings, the role of Western imperialism, and Israel’s interests in the region. Russia, Iran, and the Syrian regime’s offensive in Eastern Aleppo spurred even more arguments about the nature of the Syrian uprising and foreign intervention in the country. A number of Palestinian factions within Syria are explicitly allied with Bashar al-Assad, including the Popular Front for the Liberation of Palestine – General Command (PFLP-GC). Led by Ahmed Jibril, it is the Palestinian faction with the strongest links to the regime, and has acted as an extension of Syrian regime policing in the Palestinian camps. There are also Palestinian-Syrian militias among the numerous pro-regime militias that play a role in the war, such as the Jerusalem Brigade, the Galilee Brigade, and the Galilee Forces. The Palestine Liberation Army (PLA), originally founded as the military wing of the PLO, is another Palestinian faction allied to the Syrian regime. In Syria, the PLA is the unit in which Palestinians are often conscripted instead of the regular Syrian Army. The PLA epitomizes the schismatic nature of Palestinian-Syrian relations. During the Lebanese Civil War, it fought as Syria’s proxy force against the PLO. Today, it is closely linked with As-Sa‘iqa, another faction that is officially affiliated to the PLO. Both As-Sa‘iqa and the PLA are of limited relevance outside of Syria. The Syrian regime’s relationship with Russia is problematic for Palestinians as well, especially as Israel and Russia have recently been fostering a close relationship. In strengthening this relationship, Israel is seeking to position Putin as a mediator between itself and the Syrian regime, presuming that the latter succeeds in maintaining power with the help of Russian intervention. Some argue that this shift of focus to Russian support is the result of increased US and EU criticism of Israeli policies such as illegal settlement expansions. The recent US abstention and the consecutive adoption of a UN Security Council resolution on illegal Israeli settlements may aggravate this tendency, although the impact of the incoming US administration on the Arab-Israeli conflict remains to be seen. There are two ways for Palestinians to move beyond the false choice of neutrality versus regime support and work toward Palestinian – and Syrian – human rights. First, by recognizing that the Palestinians’ experience in Syria requires an understanding of how living in Syria has shaped their identity. The problem is that acknowledging that many of these Palestinian refugees see Syria as a home to which they long to return may feed anti-Palestinian voices who wish to strip Palestinian refugees of their right to return to Palestine. However, Palestinians can stand in solidarity with those who long to return to their lives in Syria and simultaneously defend their right to return to Palestine – which is inalienable to them, and is not contingent on the quality of life they enjoy in their host country. Moreover, it is important to acknowledge the different layers of identification that those who struggle with dispossession may feel, and that Syria’s Palestinians feel as attached to Syria as they do to their ancestral homes in Palestine. A number of groups have emerged that aim to document the situation of Palestinians in Syria, such as the Palestinian League for Human Rights - Syria, founded in Yarmouk, and the Action Group for Palestinians of Syria, based in the United Kingdom. The Jafra Foundation, based in Damascus and Homs, provides relief work in camps such as Yarmouk, Khan el-Sheih, Jaramana, and Homs. These groups are critical to the documentation and amplification of Palestinian experiences in Syria. This is in turn crucial to protect Syria’s Palestinians from the fate of those Palestinians who fled Iraq more than a decade ago, many of whom remain trapped in statelessness in host countries, unable to return to either their ancestral homes in Palestine or to the lives they had built for themselves in Iraq. Second, the Syrian war exposes the limits of Palestinian representative bodies and underscores the importance of strengthening and broadening solidarity networks. The Boycott, Divestment, Sanctions (BDS) movement has been a key strategy for the Palestinian movement in light of failing, or at best stagnating, political representation. It has been both a tool for rallying support to uphold ethical standards, and for exercising pressure - often successfully. When done right, BDS fundamentally relies on dedicated consciousness and communal solidarity. Extending the moral compass of BDS beyond Israel and toward rallying solidarity for Palestinian (and non-Palestinian) human rights and social justice movements is both a moral imperative and a strategic necessity. The choice that individual Palestinians outside Syria face is whether to maintain a stance of neutrality in order to maximize the chances of inclusion of Palestinian interests in the agenda of whichever party maintains or acquires power in Syria, or to stand in solidarity with the Syrian people. The latter is a position of controversy since the Syrian people face a crisis of representation, in the sense that there is an abundance of interests that claim to speak for them, as there is in the case of Palestine. A position of neutrality may seem a safer bet, especially considering the shift in power to Assad’s favor after Russia’s decision to intervene and Donald Trump’s election in the US. However, considering the demographic shifts engineered by the Syrian regime, it remains to be seen whether there will be a place for the predominantly Sunni Muslim Palestinian refugee population if Bashar al-Assad does maintain power, especially those who rallied against his rule. Above all, neutrality in Syria is a philosophically untenable and morally indefensible position considering the nature and scale of the unfolding violence. 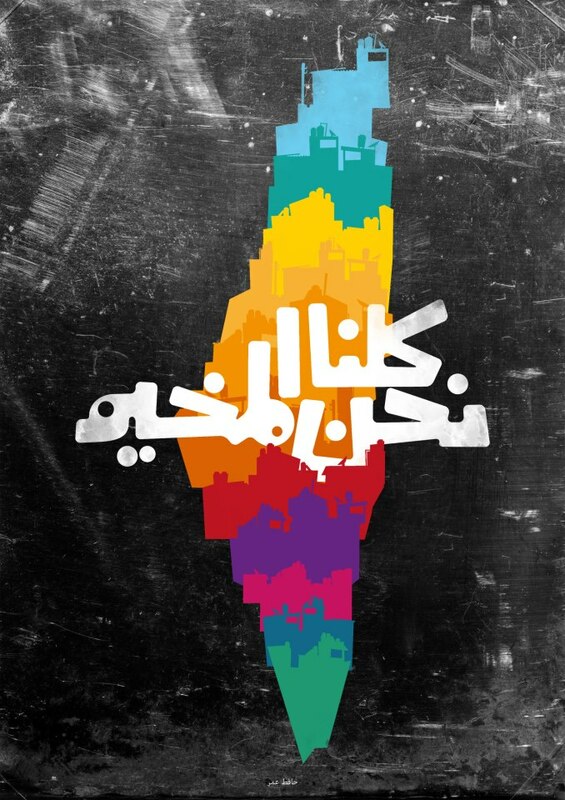 One of the most prevailing ideas in the Palestinian movement is to speak truth to power, to stand in defiance of injustice, and to call for self-determination in the face of oppression. Especially after the tragedy in Aleppo, and especially as the enlightened spirit of the revolution struggles to survive the tyranny and sabotage of the Assad regime and the chokehold of the Islamists, Syria should be no exception to this. To move toward a more just position, the PLO and PA should rethink their stance of neutrality with regard to the Syrian regime’s mass atrocities against its citizens as well as against Palestinians in Syria. Palestinian solidarity movements can reject the Syrian regime’s appropriation of the Palestinian question and reiterate the commitment of solidarity networks to human rights and justice everywhere. They can also amplify Palestinian-Syrian voices and defend both their right to reparation and justice within Syria, as well as their inalienable right to return to their homes in Palestine. Finally, they can reiterate dedication to fostering global solidarity in light of the disturbing developments in the international political realm, such as the recent election of Donald Trump. No matter how dire the outlook may seem, through dedicated solidarity and tireless activism there will come a time when things will be different. In the meantime, only our moral compasses can guide us there.